WASHINGTON (Reuters) – Pulitzer Prize winner Charles Krauthammer, who gave up a psychiatric career to become one of the leading conservative political commentators in the U.S. media, died on Thursday at the age of 68, the Washington Post and Fox News said. Krauthammer was a fixture on the Fox News Channel as well as on editorial pages of the Washington Post and other U.S. newspapers. Less than a month earlier, Krauthammer had told a Fox colleague that the worst appeared to be behind him. The cause of death was cancer of the small intestine, his son, Daniel Krauthammer, told the Post. Krauthammer, who in 1972 was left paralyzed from the neck down after a swimming pool accident while attending Harvard Medical School, was known for a dour expression, wry humor and sharp intellect. He was a regular on Fox’s weeknight show “Special Report,” and also wrote a column that was syndicated to hundreds of newspapers. “We are deeply saddened by the loss of our colleague and friend … A gifted doctor and brilliant political commentator, Charles was a guiding voice throughout his time with Fox News and we were incredibly fortunate to showcase his extraordinary talent on our programs,” Suzanne Scott, CEO of Fox News, said in a statement. “His pen functioned like a lighthouse, helping all of us see more clearly and reason more thoroughly through the most important issues that our nation faced,” McConnell said in a statement. Krauthammer gave mixed reviews to President Donald Trump, questioning his “loud and bombastic” approach to the job and calling him a charlatan while praising actions such as withdrawing from the Paris climate accord and nominating Neil Gorsuch to the Supreme Court. He had been a leading critic of President Barack Obama and what Krauthammer perceived as his “social democratic agenda,” while supporting George W. Bush’s intervention in the Middle East. He also liked President Ronald Reagan’s stand against communism and popularized the term “Reagan Doctrine” to describe it. Krauthammer was born in New York City on March 13, 1950, and grew up there and in Montreal, Canada. 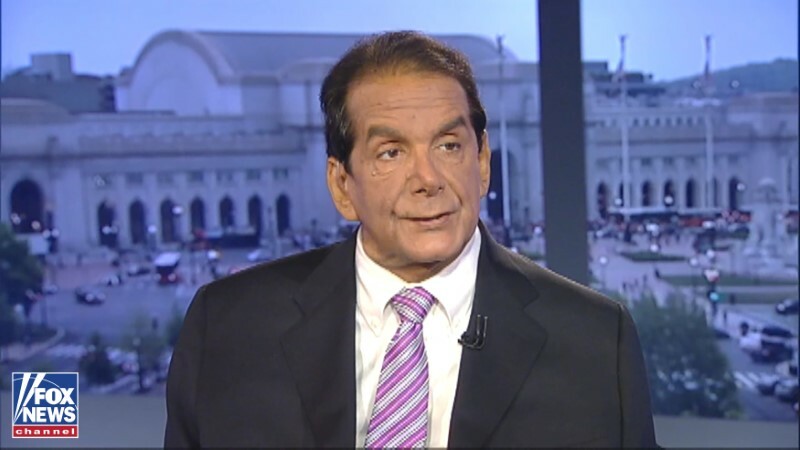 During his 14-month recovery from the diving accident, Krauthammer kept up his studies from his hospital bed and graduated on schedule from medical school in 1975. He then worked as a psychiatrist at Massachusetts General Hospital, also studying manic depression. In 1978, Krauthammer moved to Washington to work in psychiatric research for the administration of Jimmy Carter, who he later would call a failed president, and drifted away from psychiatry. He became a speechwriter for Carter’s vice president, Walter Mondale, before writing opinion pieces for The New Republic and Time magazine. He joined the Washington Post and won the Pulitzer Prize for commentary in 1987. In 2006, the Financial Times named him the most influential commentator in the United States. In a Fox News special about his life, Krauthammer said he never dwelled on the day he hit the bottom of a swimming pool with his head, severing his spinal cord. Besides his son, Krauthammer is survived by his wife, Robyn, who he met while studying at Oxford before medical school.